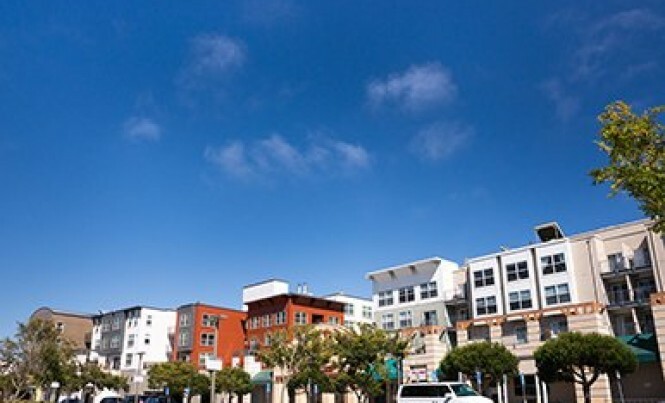 Tucked into the southernmost corner of the city is the Oceanview neighborhood, hugged by the I-280 freeway along most of its border and not far from Highway 1, making it one of the most accessible neighborhoods for residents. There are a number of homes in Oceanview still standing from the late 1800s, mostly detached Victorians and Edwardians. The next wave of development brought row-house-style homes to the neighborhood and a later stage of building dotted the area with multi-unit properties. Without knowing the exact location of Oceanview on a city map, one would assume that the neighborhood would be boasting ocean views from every corner. On the contrary, Oceanview is landlocked, without a hint of the ocean in any direction. The location was once a station for train service between San Francisco and San Jose called the Ocean View railroad station, hence the name. But its other characteristics gave rise to its popularity. Its charming small-town ambiance envelops residents and visitors alike. The Oceanview Recreation Center is a notable destination for its residents, who are more ethnically and economically diverse than San Francisco as a whole, giving it a flair of big city culture. Small neighborhood storefronts and businesses complement the small-town feel of Oceanside. And for larger needs, residents can travel a short distance outside of the neighborhood boundaries to find restaurants, grocers, entertainment, and large essential stores. Charming and well-situated, the Oceanview neighborhood is an attractive and suitable locale for residents seeking a small-town feel with a big city heart.